Having built an excellent reputation by consistently delivering high quality work and a fantastic level of client satisfaction Thomas Street Studios are now regarded as Manchester’s leading photography studio. Prepare yourself to be pampered by our fantastic makeover days, or just pop in with the family to capture some magic moments. When you are considering becoming a professional model, there are a few things you will have to learn about the modelling industry. The first thing is, it's important not to expect great things in a short time. There are the odd success stories of men and women who get lucky in their first year of trying, but the vast majority take longer, or don't make it at all. Accepting the fact that it is one of the most competitive businesses in the world, and that jobs are rare compared to the number of applicants, should be a priority if you want to avoid disappointment. Secondly, make sure that your portfolio can compete on your behalf. It's the modelling equivalent of a CV. If it's old, or looks dated, or simply isn't of a good standard, you will be put to the bottom of the pile immediately by any good agency. You only need a handful of shots, Thomas Street Studios recommend between six and 10 photos for a rounded portfolio. Any more than that and they won't get seen, any fewer and the viewer will be left with questions. Include at least one full body shot and one headshot and you can't go far wrong. The Thomas Street Studios team know all the industry standards for modelling portfolios and will make sure that your portfolio shoot gives you what you need. Find out more about Thomas Street Studios in the video below! Every aspiring model needs a portfolio to represent themselves to private clients and agencies. The portfolio is in essence your modelling CV. It is important to have up to date photos and try to have camera experience. If you want to build your experience, talk to local businesses and see if and when they are doing any advertising shoots or events. They may pay you, or they may not, but when a client is looking for a model, they will favour those with experience, just as any employer will. A portfolio shoot is typically a morning or an afternoon with several outfit changes and a variety of shots. The most important shots to include in any modelling portfolio are head shots and profile shots. These are the foundation of any portfolio and should be presented at the front so that they are seen first. Agencies receive dozens of portfolios every day and will typically only look at the first few shots before making a decision. Before you have your portfolio day, make sure you have planned your outfits and what make up you want. If you don't know, there will be people around to guide you, but it's always best to have a strong idea of what you want to go home with. Remember that once a photo is taken, you can't change it! Portfolio shoots are typically paid for by the photos chosen, but some photographers will charge a half day or a day rate. When choosing where to go for your portfolio, make sure that they have done this type of shoot before and know what they are doing. If you know anyone else who has recently had photos taken, talk to them and search online. Thomas Street Studios in Manchester are known for fashion makeovers and portfolio photography. They are also connected to other studios and modelling agencies around the country and can offer advice on taking the next step. 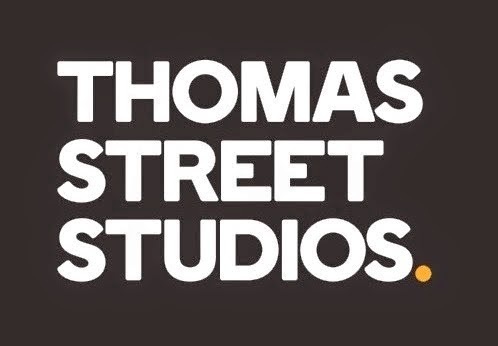 You can find out more about Thomas Street Studios and our services on our website. Alternatively you can watch the video below and get in touch with any questions or booking queries. Don't forget to follow the Thomas Street Studios twitter! At Thomas Street Studios we work with some of Manchester’s most talented makeup artists, hairstylists and fashion photographers to create some beautiful magazine style photos for everyday people. Our extensive client portfolio also includes many high-profile people from entertainment, television, sport and business meaning individual satisfaction is an essential part of our success in modelling. Heat appliances like straighteners, curling wands and hairdryers all damage your hair because of the high temperature being applied. You must always use a heat protection product before using any hot appliances on your hair. To get your hair back on track again there are a few things you can do. First of all it would be a good idea to stop colouring your hair as much as you have been doing. Only colour it if you really have to. Over colouring your hair will eventually cause your hair to snap, which makes the situation even worse. It’s also a good idea to get all the split ends cut off your hair if you can. This will help improve the appearance of your hair for the time being. Whether you want to create a stunning modelling portfolio or gorgeous collection of keepsake images Thomas Street Studios can cater to your needs. Watch the video below for more information. Thomas Street Studios are located in the heart of Manchester's Northern Quarter, nestled amongst the top bars and clubs. We specialise in modelling portfolio shoots for aspiring models. We thought we'd give a quick run down of the Forbes richest models list for 2014 to date. More than a few familiar names in there! Kate Upton. At age 22, this American model earned an incredible $7 million in 2014. She is best known for modelling for Sports Illustrated but with such a fantastic career ahead of her, let’s see where she ends up. Kate Moss. A regular on the top ten money list, Moss adds another $7 million to her total in 2014. Adriana Lima makes the top 3 again with $8 million earned. The Brazilian has been a Victoria’s Secret Angel since the year 2000 and also a spokesmodel for Maybelline. As a teen model, she won several big competitions in Brazil before being signed to a major agency. Doutzen Kroes is another Victoria’s Secret Angel and wings it to number two with $8 million. Gisele takes the number one spot yet again with an astounding $47 million. The Brazilian supermodel has held the spot for the last decade and is one of the richest women in entertainment. Call Thomas Street Studios for booking information and find out more from the video below. Thomas Street Studios are a fashion photography studio specialising in modelling portfolio shoots. Visit the Thomas Street Studios website to find out more. Here are some skincare tips for aspiring models! A teen model is especially prone to bad skin. Constant use of different make-ups can take it’s tole on a model. Here are some tips to cope as a teen model. Acne is common during puberty when hormones go into overdrive, causing the skin to overproduce sebum. Because many oil-producing glands are on the forehead, nose, and chin, this area — the T-zone — is where a person is most prone to pimples. Don't pop pimples. It's tempting, but popping pimples can push infected material further into the skin, leading to more swelling and redness, and even scarring. If you notice a pimple coming before a big event, like the prom, a dermatologist can often treat it for you with less risk of scarring or infection. A big teen modelling no no! If you're concerned about acne, talk to a dermatologist. Dermatologists offer a range of treatments that help to prevent and acne scars. A dermatologist can help you find the treatment method that's best for you and can also give you lots of useful tips for dealing with acne and caring for your skin type. Some salons and spas have trained skin specialists, who can offer advice and skin care treatments. Follow Thomas Street Studios on twitter and read the official modelling advice blogs! Your hair can't get sunburned, but the sun can still damage your color and dry out your strands. Before styling—damp or dry—spritz on a primer like R+Co. Thomas Street Studios is one of the best known and highly recommended photography and makeover studios in Manchester. If you want a makeover shoot, contact Thomas Street Studios today. You can also follow Thomas Street Studios on Twitter. Read about top models here.